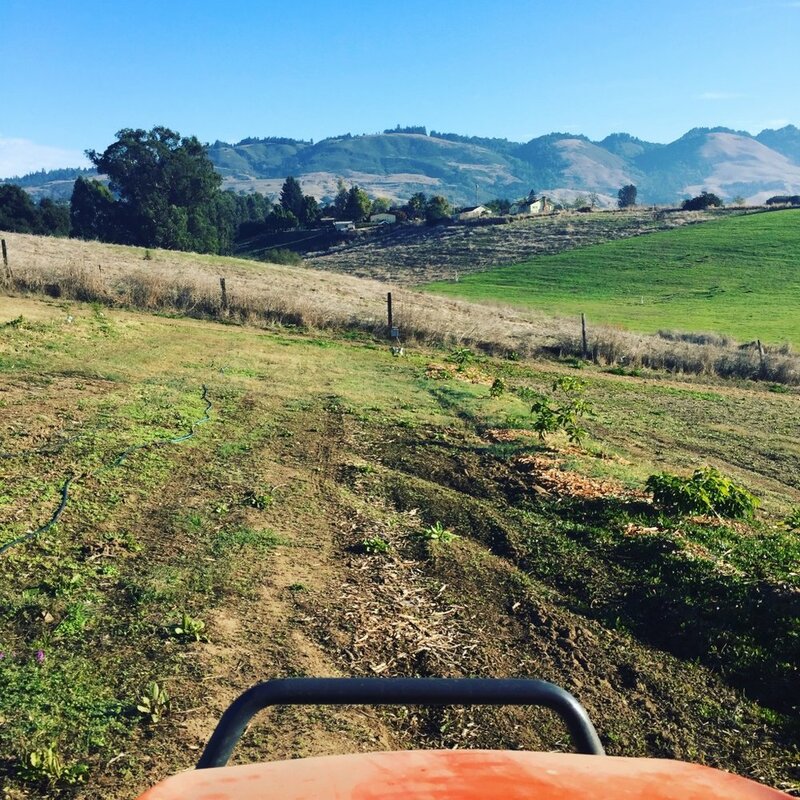 Birdsong Orchards was founded in 2013 to turn an old 8 acre fallow farm back into organic production. This land was originally an apple and dairy farm in the 1950s-60s, but has been unused since the 1980s. Our goal is to plant a permanent fruit tree orchard to the highest organic standards, as well as accompanying annual crops with a focus of cut flowers.. We plan to enrich and nurture the holistic health of this land to encourage biodiversity and environmental balance while growing the highest quality and tastiest produce. Birdsong Orchards is the brain and love child of Nadine Schaeffer and Jason Wehmhoener. After over 40 cumulative years designing software, we are now turning some of our time and energy into designing a sustainable farm. Because we like to experiment and play with our food, we are involved in field trials exploring species and varieties of tree fruits. A partial and ever changing list of what trees we are growing is shared below. We have a deep respect for the land, and are looking for ways to nurture the earth during this time of climate change while exploring new crops and cultivars for our area. We are proud to be certified by the CCOF as an organic farm. And now they are grown up trees!